Express Fc defeated Big League side Wakiso Giants 2-1 in a pre-season friendly played on Friday evening. This was the first game for Wakiso Giants at their new proposed home ground-Wakisha Resource Centre. New signings Ruben Kabuye and Eric Kambale scored for the Red Eagles while former SC Villa striker, Karim Ndugwa netted the Purple Shark’s goal. Express FC finished the game with a man less after midfielder Michael Birungi was sent off with 20 minutes to play. Despite efforts to level matters even with numerical advantage, Express FC held on to condemn Ibrahim Kirya to his second loss. 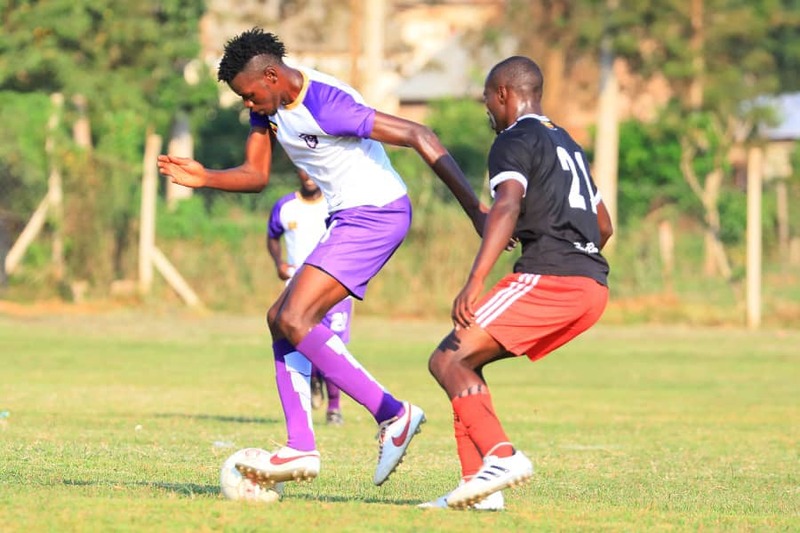 The Purple Sharks had lost 1-0 to Soana FC on Wednesday. The team returns to action on Saturday(today) away to Mbarara City FC. It should be remebered that Wakiso giants bought off Kamuli Park two months ago and have gone on a major recruitment spree, bring in the likes of Ndugwa, Abdul Karim Kasule, Ayub Kisalita, Feni Ali and Steven Bengo among others.